Mastic asphalt usage - GlobeCore Bitumen Emulsion. Mastic asphalt has long been considered a good choice for waterproofing flat roofs, basements and foundations, along with surfacing floors, pavements etc. The mastic is a natural product, a combination of bitumen and integral and comes in the shape of sturdy blocks. Use of asphalt Pieces of asphalt are put into a pot or mixer and are heater to approximately 254°C to make it liquid. Then the material is put into asphalt buckets or barrows and used on the surface to the required level using a specially made timber float. SURFACE FINISH Asphalt is black, but comes in different hues. After application and curing, I must be protected from UV rays. This is usually done by using a solar reflective paint, spa chippings or ballast. Tiles or slabs can be applied alternatively on walkways, in yards or on balconies. ABSTRACT The mechanical properties of mastic asphalt are significantly affected by the individual mastic binder. 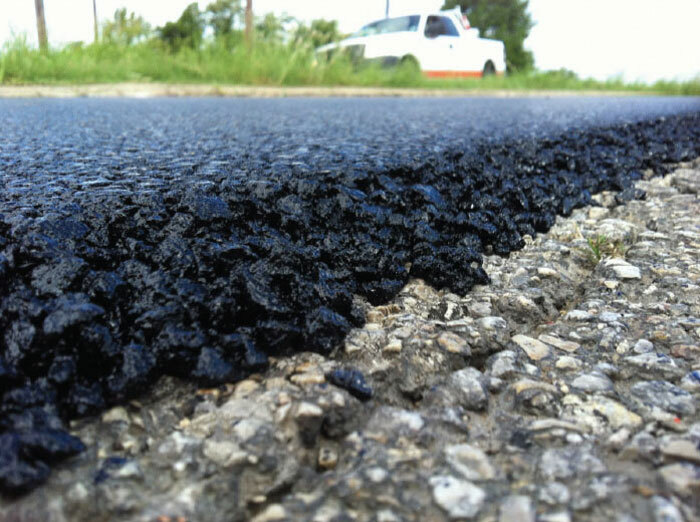 Trinidad Lake Asphalt (TLA) which consists of naturally weathered bitumen and filler, is a typical material for adjusting the properties of mastic binder to improve the efficiency of the specific mastic mix (such as stiffness or resistance to deformation). The increase of traffic loads and varying environmental conditions are usually demanding to the specifications of material for efficiency of the mix. In such cases, the mastic binder might require modification by polymer. Here, the use of polymer modified binder for mastic asphalt surfacing of bridges or improving the efficiency of the material for environmental conditions and high traffic loads is demonstrated. An evaluation of the rheological properties showed that the stiffening, caused by injection of TLA into the mastic binder, assessed in the case of conventional mastic asphalt (including bitumen not modified by polymer), happens in many manners if a polymer modifier was injected. The changes of rheological features of mastic binders were also demonstrated by alteration of properties (such as firmness, deformation resistance or cold temperature stability) of the mastic asphalt mixtures. Mastic asphalt is different from heavy ranked asphalt (asphalt concrete), since it has a higher bitumen (binder) content, some 7 – 10% of the entire aggregate, unlike rolled asphalt, which only has 5% of bitumen or so. This thermoplastic material is widely used in construction, for waterproofing flat roofs and underground containers or tanks. 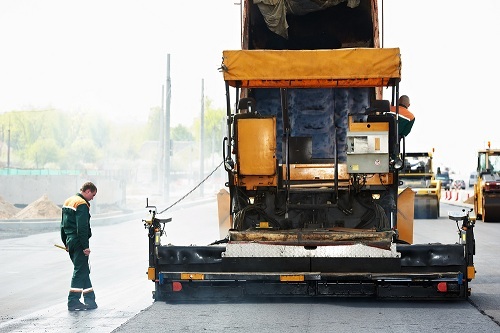 Mastic asphalt is heated to 210°C (410 °F) for layered application to create a 20 mm protective screen. Mixers for mastic asphalt have been produced over 50 years. Such mixers are developed to produce mastic asphalt as part of a mastic production facility for transportation of hot charge directly to site.